According to a 2002 study conducted by the ﻿University of Massachusetts﻿, the majority of people aren’t capable of having a ten minute conversation with someone else without lying (at least) once. In fact, most people told about 3 lies during this brief chat. The same study further supports the idea that lying, both sadly and surprisingly, has become a normal and everyday part of life. What are the main types of lies? Lies are universal. They’re painful, often times used as an act of “protection” in an attempt to not hurt someone’s feelings and they can serve as a form of privacy. The truth remains, however, that no matter what the reasoning is behind each lie, lies are difficult to swallow and far too easy to tell. How to tell if someone is lying to you? Is there a way of discovering whether or not someone is lying to you by reading their facial expressions, body movements or listening in on their tone of voice? And no, we’re not just talking about growing noses here. What else can we clue into to detect even the most subtle lies? According to Dr. Lillian Glass, author of the book “﻿The ﻿﻿Body Language of Liar﻿,” sudden head movements when asked a direct question, such as a jerk, retraction or a tilt can be signs of lying or nervousness. The voice may crack, become unclear and differ in tone from one’s normal speaking voice when someone is engaging in the act of lying. Lying usually makes people uncomfortable and tense. One of the body’s natural reactions to this is tension in the shoulders, causing them to rise up towards the ears. Normal conversation with someone usually involves ﻿﻿subtle ﻿﻿movements like hand gestures, the nodding of the head, a subtle tilting of the hips, etc. When someone becomes stiff or entirely immobile, this could be a warning sign that their body is entering into “fight or flight” mode, which begins with tension and a confusion of what to do next. Standing still is the only way the body knows how to begin. Liars tend to repeat the lie over and over again as a form of reassurance to the listener that they’re telling the truth but also as a way to convince themselves that the lie they know is false might actually be true if they repeat it enough times. Listen for common phrases that are being said over and over again and see if they’re accompanied by any of these other signs of lying. 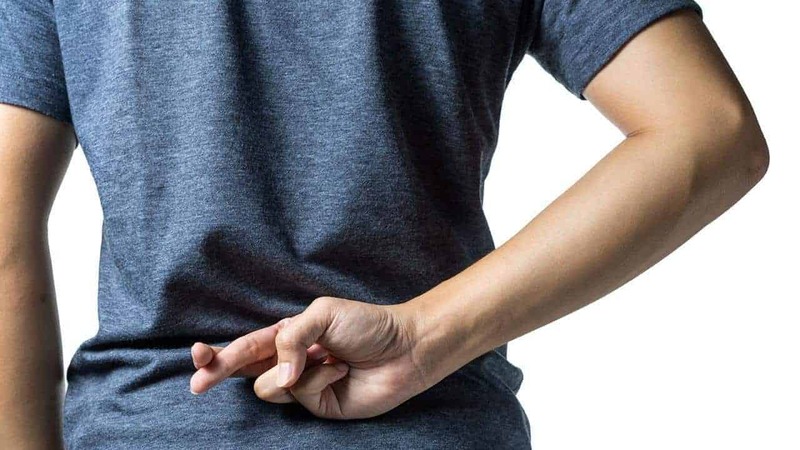 A liar will oftentimes try and pinpoint someone other than themselves as “the bad guy.” This manifests itself, most often, as placing the blame on someone else or in the physical act of pointing a finger at someone. Beyond these specific warning signs of lying there are many other quirks that people could gravitate towards. Everyone has their own nervous habits and they all manifest in different ways when people lie. Quirks could involve fidgeting of the feet, covering vulnerable places of the body like the mouth or the throat, difficulty in speaking (stuttering, slurring, forgetting words or talking in odd sentence structures), too much or too little blinking, and so much more. A lie is any misinterpretation or skewing of what is known to be true. It is a verbalized expression of deception by the speaking party. Lies express what is false and are intentional. The act of lying requires the liar to claim consciousness over what he or she is about to say and is intended to mask the truth of what has been, currently is or will (in the very near future) become. While there are people who identify themselves as perpetual liars, you don’t have to tell lies like a chain smoker goes through a pack of cigarettes throughout the course of a morning; a liar is someone, anyone, who has been accused or telling a lie in any given moment. Most of us are unlikely aware of how habitual our lying has become. 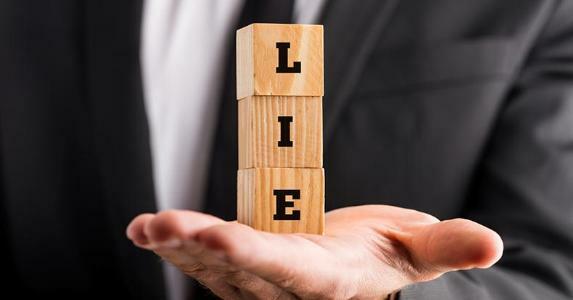 Lying, according to Dawson ﻿﻿﻿McAllister, founder of the Association and TheHopeLine, says that lies are far more common and far more prevalent in our lives than we’d like to think they are. You know that phrase that you notoriously hear in the courthouses and on every televised judge show, “Do you swear to tell the whole truth and nothing but the truth so help you God?” This phrase is designed to help people veer away from telling white lies. It prohibits them, to the point of putting their life on the line, to tell only a portion or a small fraction of the truth that they know to be true. Some people will tell white lies because they don’t want to hurt someone’s feelings. For example, your grandmother asks you if you like her dress and you say you do even though you think it is hideous. You don’t want to hurt her feelings. While you are lying, you aren’t doing it to hurt someone or to be intentionally deceptive. White lies are also defined as withholding a part of the truth. This type of lying is usually to protect yourself or to “get away” with something that you’re not entirely proud of doing. For example, your mother asks you if you cleaned your bedroom and you tell her that you did. What you don’t tell her is that you threw all of your clothes into your closet to make the room appear clean, although you know that that was what she was asking. Broken promises are also a form of lying. 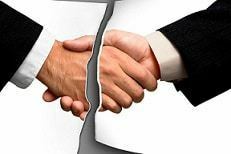 They are especially hurtful and damaging when the person who breaks the promise or goes against their word never intended on keeping it in the first place. This type of lying is most commonly seen when someone asks you to hang out. Your friend asks you if you want to go to a party with her on Friday night but you, if you’re being honest, don’t want to be seen with the people at “that” party so you say “yes” to appease her but know in your head all along that you won’t be going. The afternoon of the party you send a text saying that you’re not feeling well or make up some type of excuse to get yourself out of the commitment that you never intended to keep in the first place. This type of lying can create a vicious cycle of bad habits and lead you to become an unreliable and flaky friend. Fabrication is a type of lying that consists of telling people small details or facts about a story, a person or an event that you don’t necessarily know to be true. It involves a lot of making things up to sound “cool” or make people think that you know more about a certain situation than you actually do. This type of lying is the type of lying that is known to start rumors. When you start filling in details that you don’t know to be true, you start to make up and “create” other lives for people that they haven’t been living. Fabrication can be extremely damaging and, like other forms of lying, really does no good in the end. If you don’t know all of the details about something or someone don’t be afraid to admit it! It’s actually really refreshing to hear someone say, “I don’t know!” Also, if you do not know something but want to know more about it, go look it up! You’ve got the world at your fingertips with Google. All of the information you need is only one click (or one conversation) away. So there you have it; you have no more excuses for fabrication. 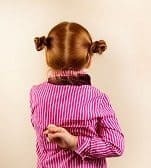 When children tell these lies it is actually quite charming, even funny, but these bad habits of lying as young children can carry over into our adolescent and adult lives if we’re not careful about nipping them in the bud as they begin. As adults, these are some of the most annoying and perplexing lies to tell because most lies, we’d like to think, are meant to be semi-discrete and there is nothing discrete about a bold-faced lie. Exaggeration is a bad habit that is far too easy to fall into. For most of us it begins as something quite innocent. We want to get a point across so we exaggerate a little bit. Example: “I ate like 20 cookies.” This does not mean that you literally ate 20 cookies, it just means that you ate a lot of cookies. Example: “You’ve been gone for a million days!” Obviously this isn’t literal, it’s just a way of saying that you missed someone quite badly and you’ve been wanting them to be in the same space as you. This type of lie is often not seen as a lie, but it is. This type of lie is especially harmful when the practice of exaggeration becomes habitual and leads you to exaggerate during most all of your conversations with family and friends. Again, if you aren’t making yourself aware of these types of lies it is quite easy for them to become a normal and everyday part of your life. Once it becomes normal these habits are dangerously hard and difficult to break. Deception is the act of telling a false truth in a way that causes the listener to be misled away from the actual truth. Most people are experts at this today because we live in a world that is training us to become experts of deception. Social media, for example, encourages us to practice this on a daily basis. As the author of your own profile you are in charge of creating a persona that is likeable and even loveable to yourself and the public who will see it. As a result you will, most likely, only post the best photos of yourself (after they’ve been photoshopped, of course, and when you were 20 pounds lighter), you will only upload pictures of the most delicious and healthy foods that you’ve been eating and tell the stories of your favorite and most exciting adventures even if you pass your days depressed and sad and lonely. Plagiarism is the act of taking someone else’s words and claiming them as your own. This is most commonly done in high school or at the University when students are learning to express their own feelings and ideas through writing based off of the research and findings of other professions in a certain field. Sometimes this is often done by mistake. Students, or adults, will claim that they did not know that they had to give someone credit for their work, but it is really important that you do. In academia settings, engaging in the act of plagiarism is a serious offense that can lead to expulsion and in the real world plagiarism is a way to degrade your credibility. Even if you are doing something as simple as tweeting one of your favorite quotes, make sure you squeeze the author’s name into your 140 characters. Compulsive lying is the most severe type of lying. It well may be that engaging in other forms of lying on a regular basis are what leads to compulsive lying. Compulsive lying is the act of lying with great frequency. In many ways, like alcoholism, it is an addiction that people need to seek treatment for. In some cases it can become so severe that it can ruin friendships, separate marriages, and really lower one’s self esteem. A compulsive liar is unable to tell the truth even when the truth sounds better or is easier to stomach. Lying becomes a way of life for someone who suffers from this disease. Lying, no matter which type it is, can be dangerous, harmful and hurtful. It goes without saying that we all lie from time to time whether we know it or not. Now, however, after brushing up on the ways to tell if someone is lying, you can detect and determine for yourself how honest or dishonest someone is being with you.